I think I have just discovered a favourite new vegetable and it isn’t a real vegetable at all. We all know that Oriental veg are so useful because they can be eaten at virtually all stages but I am slowly realising that the same can be said for some other brassicas and especially kale. Now I have to admit that I used to have a slightly snobbish attitude to kale since I grew up with nearby fields full of the stuff for animal feed. But when you (or when I) opened my eyes and mind to how plants grow rather than what the books say, I realised that Americans go mad for ‘collards’ which are basically non-heading cabbages, or kales, and that the flower stems on kales might be just as good as broccoli. And so, the rather scruffy looking ‘Cavolo Nero’ kales, nearing the end of their lives, are sprouting all over with new shoots that are small flower shoots. I was a late convert to ‘Cavolo Nero’ because it can be chewy if you pick old leaves and even though that dark colour must surely be a sign that it is really good for you, it can be a bit tough, especially if you do not strip the leaf blade off the midrib. But these young flower shoots are a revelation. They are tender and crisp and really sweet. Yes I know that seems unlikely but yes they taste good enough to eat raw. So these plants that were sown last March, produced fresh leaves all summer, survived caterpillar attack and now are producing the tastiest crop of its life. 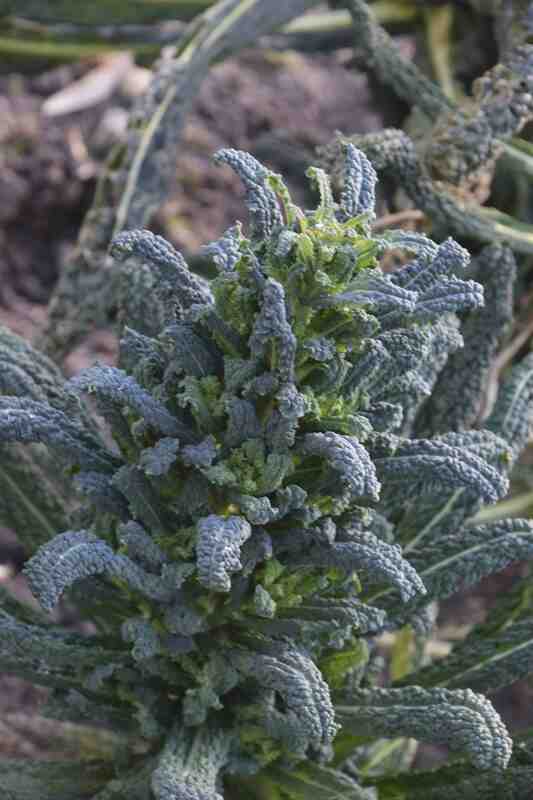 ‘Cavolo Nero – I salute you – and will sow some more next month. And I was ready to discard my over wintered plants! I’ll leave them a bit longer and give that a try – thanks!